Includes: 1x 9mm Ecostraw AND 1x 6mm Ecostraw, Carrying Case, and Cleaning Brush. Made from food grade anodized aluminum - color will not chip or fade does not alter taste of beverage and bacteria resistant. Each assembled straw is 194mm (7 5/8") in length, comprised of two sections each 98mm (3 7/8") long. The carrying case is approximately 114mm (4 1/2") long. Includes: 1 x 9mm Ecostraw OR 6mm Ecostraw, Carrying Case, & Cleaning Brush. Made from food grade anodized aluminum - color will not chip or fade does not alter taste of beverage and bacteria resistant. Each assembled straw is 194mm (7 5/8") in length, comprised of two sections each 98mm (3 7/8") long. The carrying case is approximately 114mm (4 1/2") long. 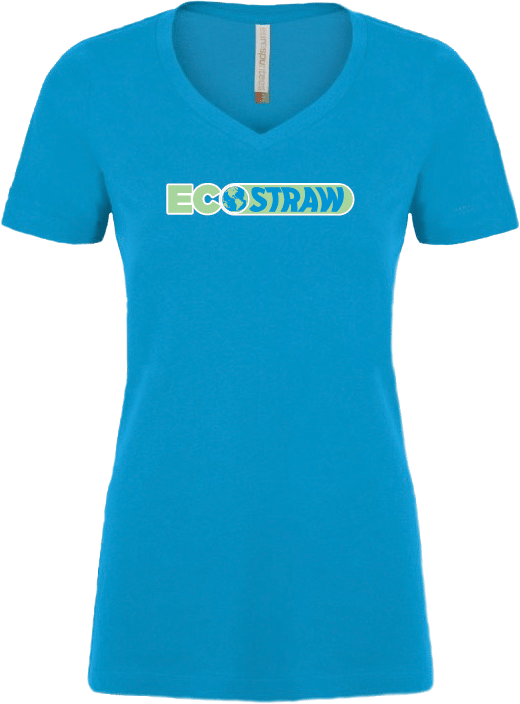 Represent Ecostraw with your own "We Take Sucking to a Whole New Level" v-neck t-shirt! Available in S / M / L sizes. Expect 10 days for delivery. 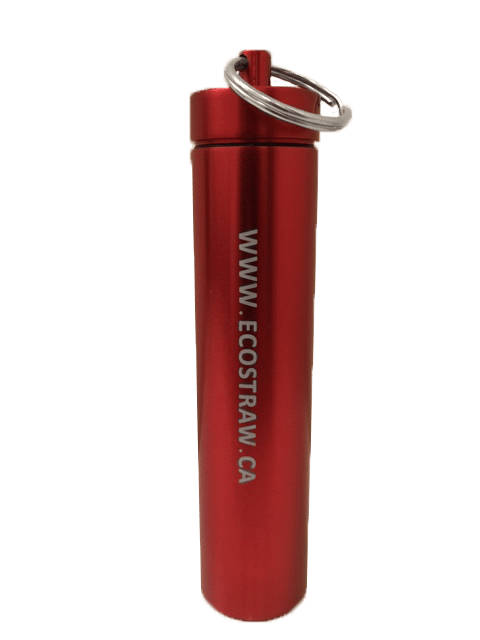 Have you lost your Ecostraw? Don't worry, we are selling replacement straws! 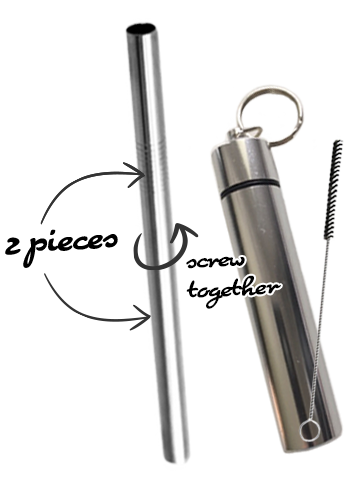 The Ecostraw is made of food grade aluminum. 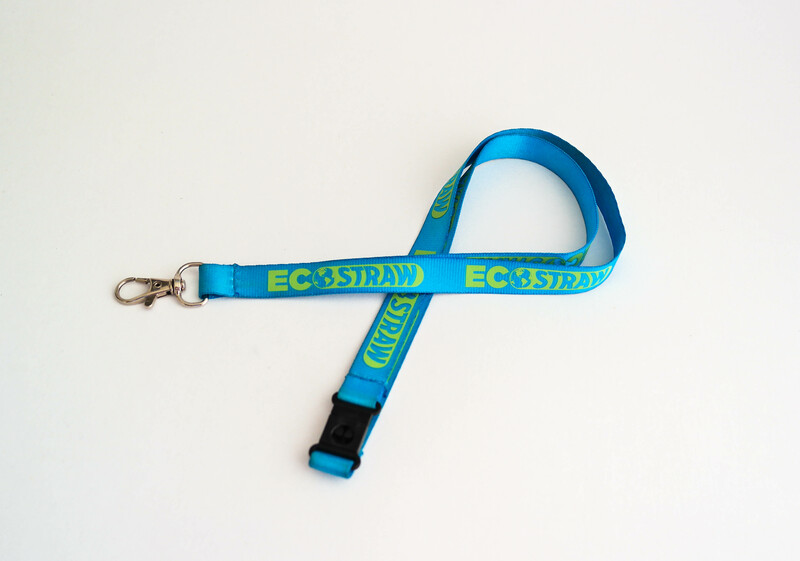 These straws are easily assembled with three easy finger tight twists. 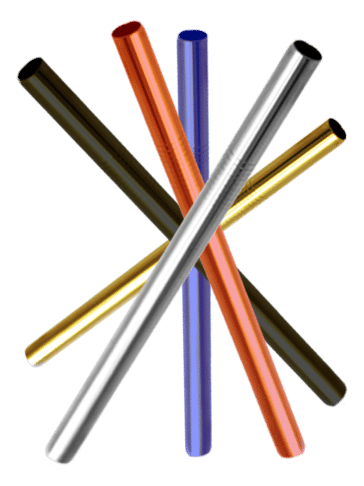 Ecostraw is available in 5 amazing colours. 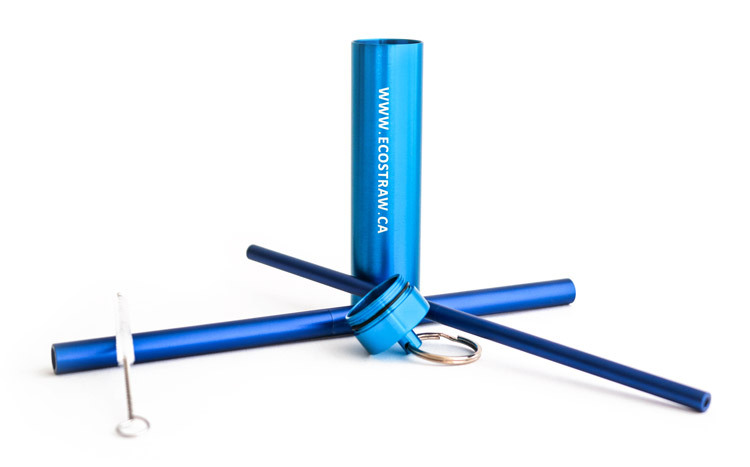 You can even customize your own straw with two different colours if you really want to stand out. Get a backup case, replace a lost one, or just get a second color. The carrying case is approximately 114mm (4 1/2") long. Made from food grade anodized aluminum - color will not chip or fade does not alter taste of beverage and bacteria resistant. 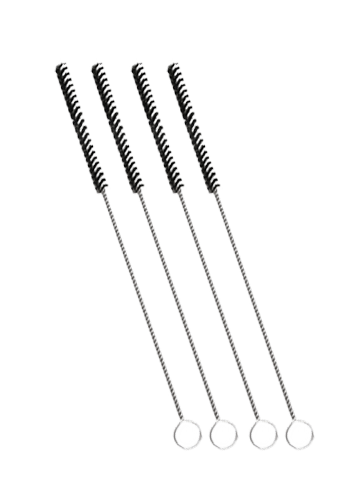 Purchase additional cleaning brushes in case you lose one, or wear it out. We recommend washing your ECOSTRAW by hand with PH neutral or PH < 7 soap only - rinse with clean water for best result. Automatic Dishwashing soaps with a PH level > 7 may damage the anodized finish or your ECOSTRAW. Warning - Do not use on a moving boat, car, truck, plane or bus.